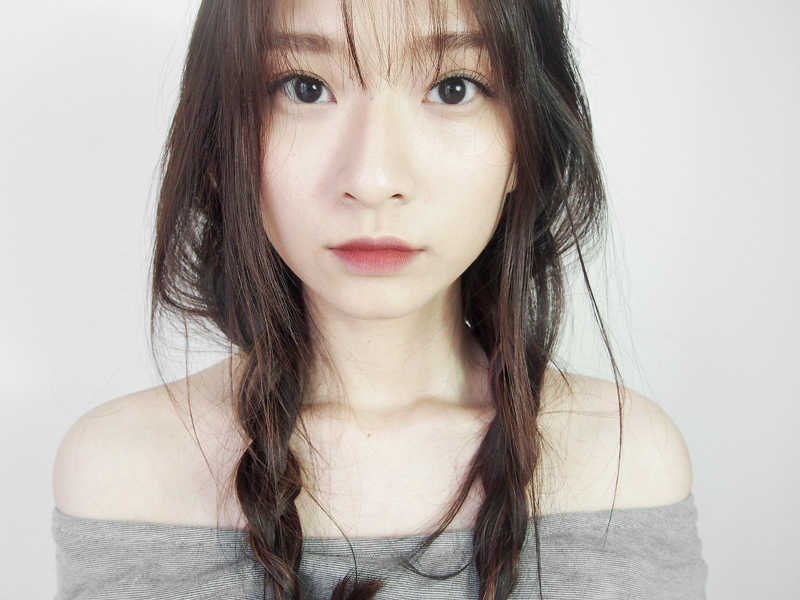 What do I do when I am bored? I look up and read beauty products reviews on the internet! Oh well, I bet some of you do too :P Anyway, one of the things I really like to do during free time is to visit FemaleDaily and find out more about things that I have been eyeing / on my wishlist to see if they are actually worth the purchase. What's FemaleDaily? 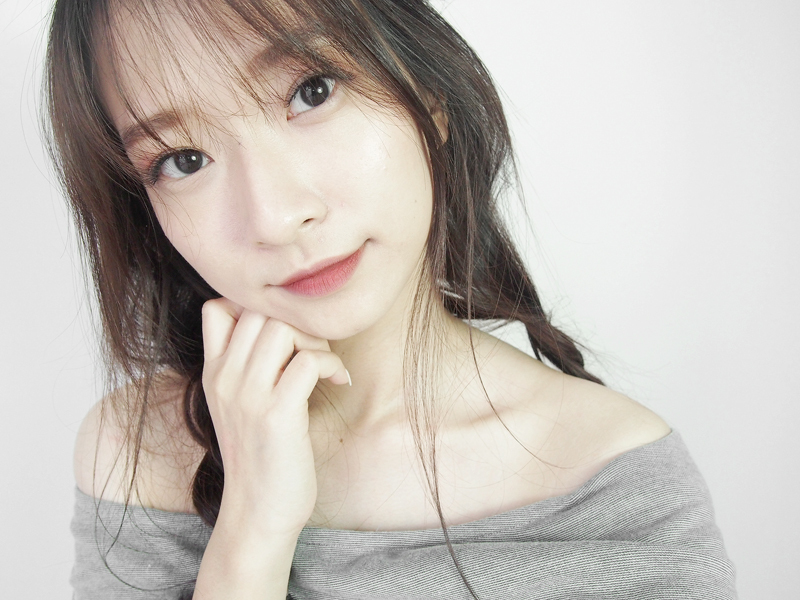 It's a Indonesian forum with a section where people can write/read reviews of beauty products. Long short story, I was browsing around and was intrigued by the reviews and decided to get a few of these products myself. Today I'll be sharing them with you, and yes I especially write this in English because I really want to introduce one of the product -which is Indonesian- to all of you! I have heard alot about this highlighting palette, raved and loved by many beauty gurus, especially Nikkietutorials and Jeffree Star. 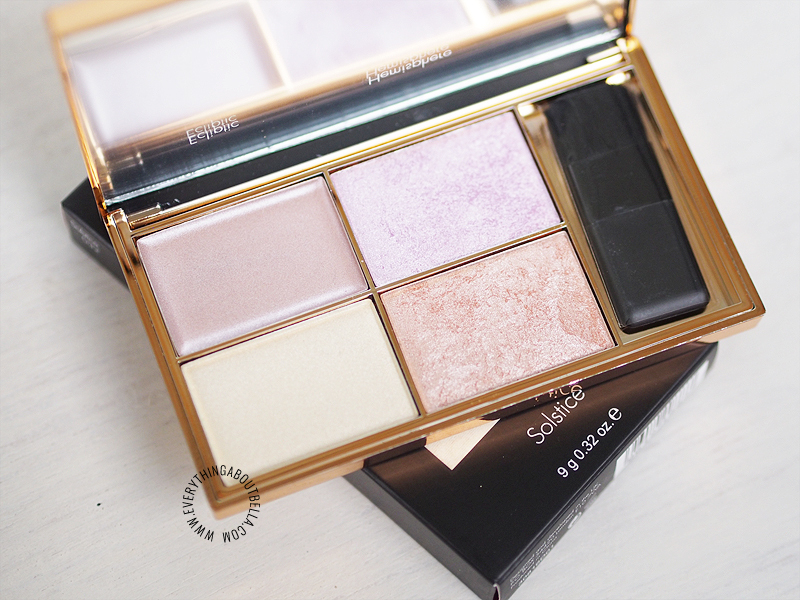 It's the Sleek Soltice Highlighting Palette. Do I need to say more? 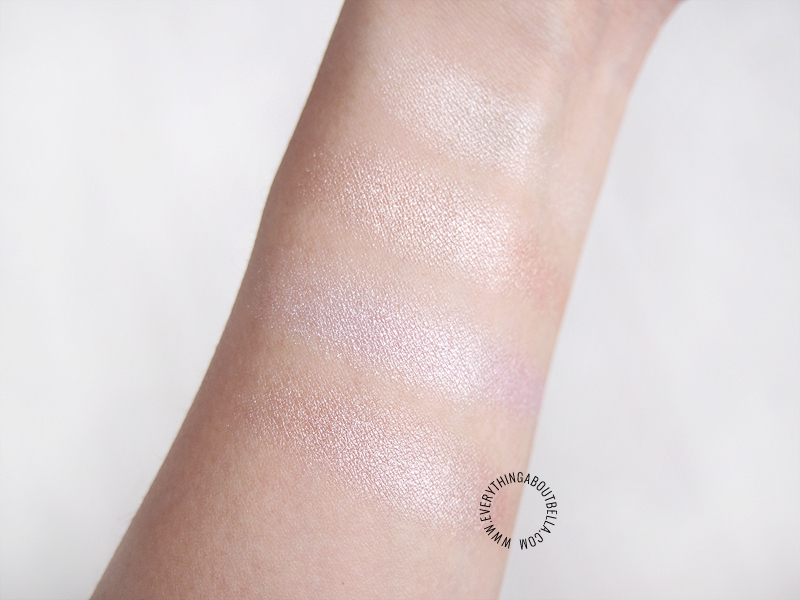 Just look at these swatches. Seriously, if you are thinking if you should get it or not, GO GET IT, especially if you like blinding highlighter look or crazy strobing like I do! It is sooo buttery and also, you get 4 different tones of highlighter, considering how affordable this is, this thing is freaking awesome! 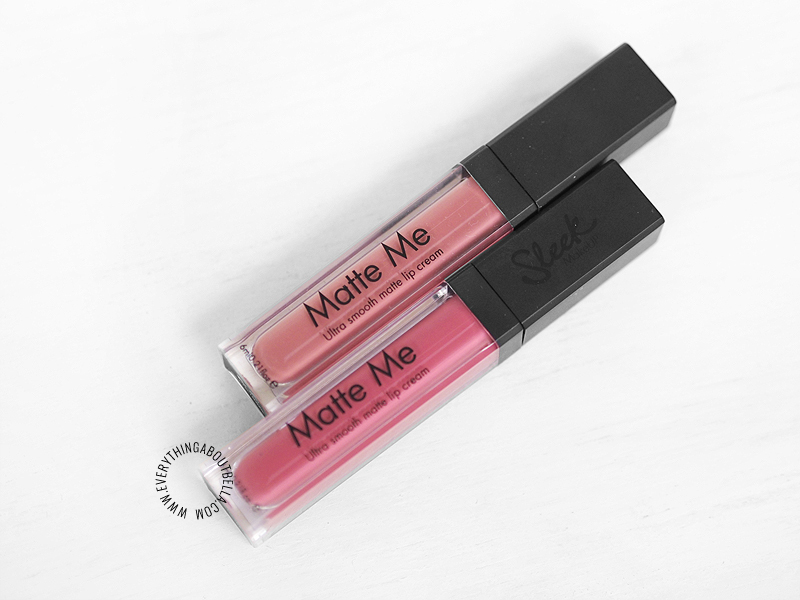 Next I have the Sleek Matte Me Ultra Smooth Matte Lip Cream in Birthday Suit and Bittersweet. I have been eyeing on Birthday Suit for the longest time ever but I never really remember to get them because I don't really see a lot of Indonesian blogger talking about it. I am glad that I finally did! They doesn't crack or dry my already dry-sometimes-cracking lips, which is amazing, considering how matte and long lasting they are! They are super pretty, although the shades are not exactly a crazy favorite but the formula is definitely worth the money! Also, have I mentioned that they are long lasting? They are budge proof, transfer proof, kiss proof, waterproof, just amazing. Last but not least, Rollover Reaction in Maxwell! A local Indonesian product, which I am soooo proud of. I am so proud of the flooding, high quality but affordable local product here in Indonesia including the two most happening brands right now, Rollover Reaction and BLP beauty. 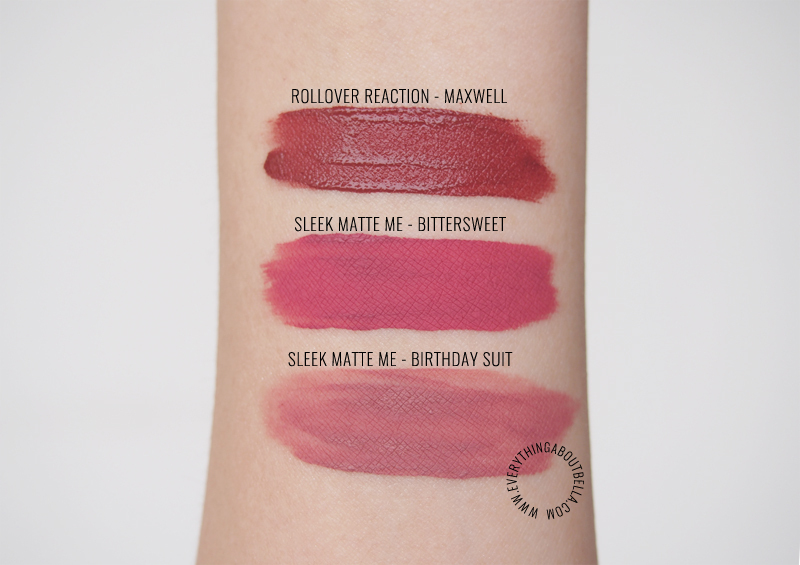 Okay, I will definitely get more shades and review them on the blog but Maxwell is to die for! It's a warm red brick shade which will look stunning on asian skintone. I absolutely adore it, too bad it's a limited edition shade so I will definitely miss it when I run out of this one. Sleek Matte Me in Birthday Suit and Rollover Reaction in Maxwell has been a crazy favorite combo lippies of mine since I got them! 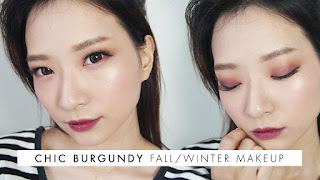 They go well together and create a perfect gradation but full-looking lips I have always been obsessed with. What do you think? 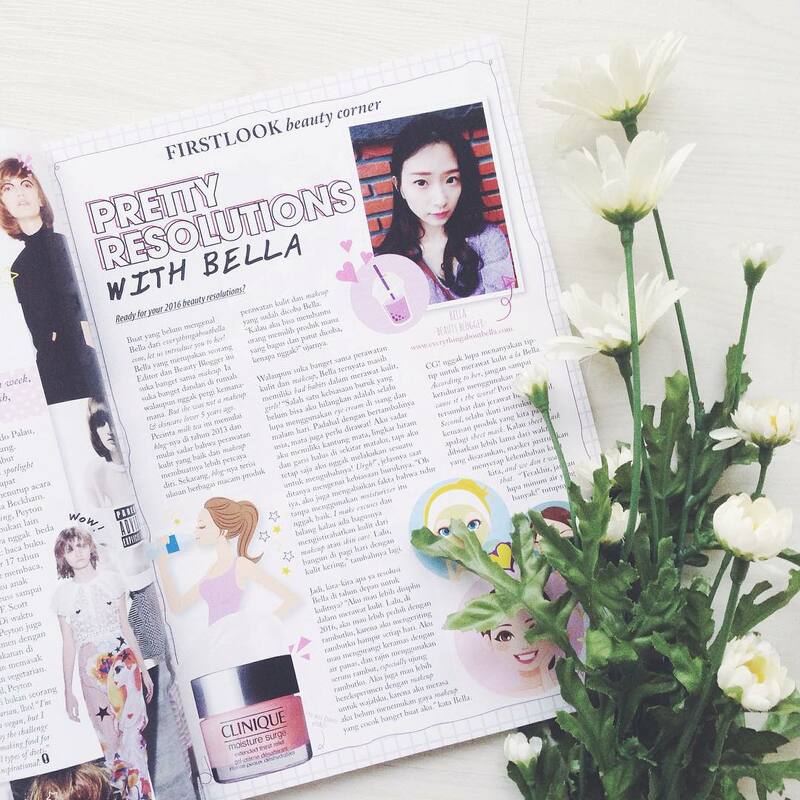 Check out FemaleDaily and my account to read my short reviews on beauty products! 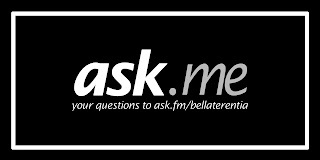 Don't forget to add me up too, my username is bellaterentia.